I've teamed up with some fantastic bloggers to help my best blogger buddy, Meg, from Sweet Twist of Blogging, celebrate some good things happening in her life - and we're giving YOU the chance to win some INCREDIBLE goodies! 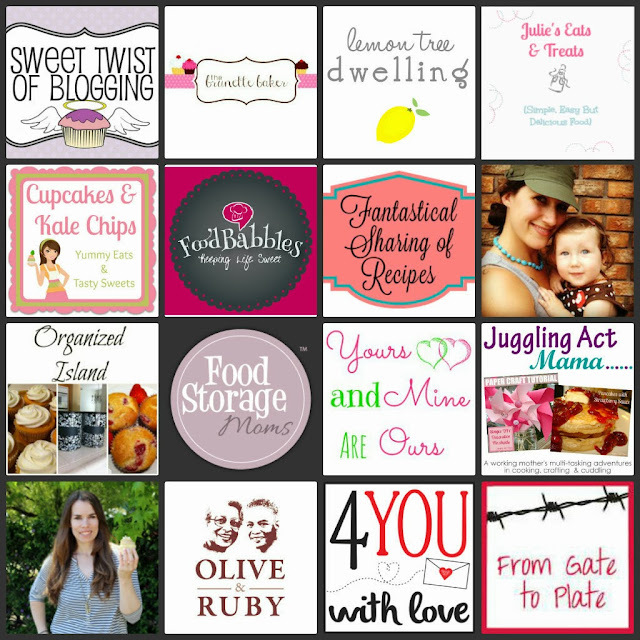 This month I am celebrating my 3rd Blogiversary. 3 years of blogging, where does the time go? It has certainly been a lot of fun. I love baking and love creating, delectable desserts. Thank you to all those who follow, comment and have just briefly stopped by. I hope I have brought a sweet twist into your life with one of my posts. I am also celebrating a birthday that involves a couple 3s. Since this is a year of 3s for me, I decided to celebrate with the help of some blogger friends. 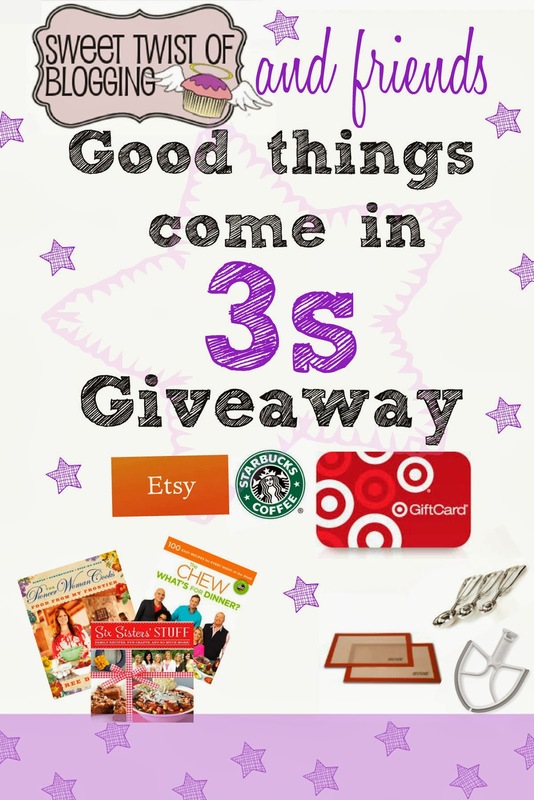 This is our GOOD THINGS COME IN 3S GIVEAWAY! Enter using the Rafflecopter below. Giveaway goes until October 12th and is open to Canadian and US residents.